Steven Pinker’s The Better Angels of Our Nature: Why Violence Has Declined is an amazing and insightful history of violence–with a positive slant. He opens with an impressionistic view of history, one might say would be anecdotal, if not for the systematic examination to follow. Bullying is no longer cool. On a small scale one can see how as a culture we’ve slowly but progressively moved through slavery, into the realm of women’s rights, and the voice of many other oppressed voices of all kinds. 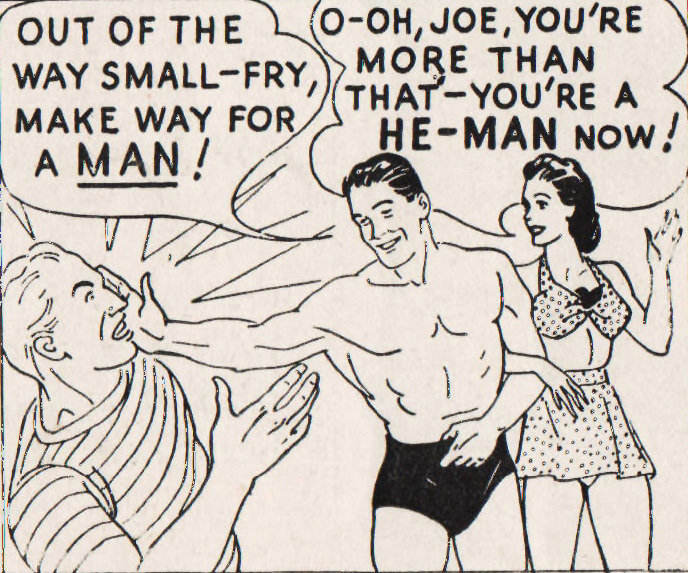 Pinker notes the 1950s Atlas ads were ahead of their time in detailing the masculine love of the body-built physique, but the bullying portrayal was very much a part of its time. Sexist and violent domestic depictions are no longer industry standard. 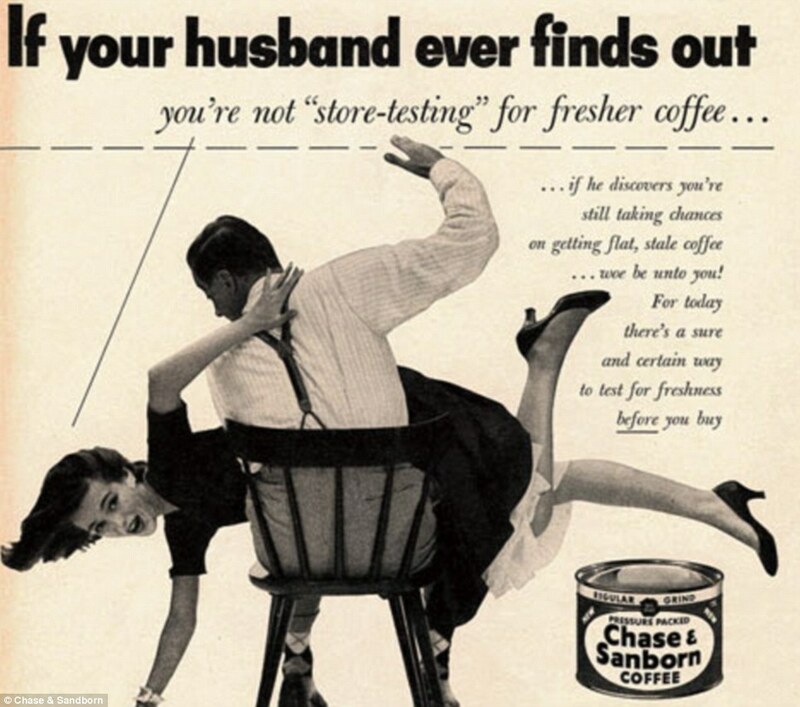 We’re all a bit more familiar with the sexual stereotyping in ads from the 1950s, the supposed Golden Age of America, in part because of the popular Mad Men series. Such degrading and sexist images were commonplace, and indicative of male power and violence in the domestic realm too. But the book is comprehensive, taking inventory from books and reports from a wide swath of human civilization and behavior. Following up on data that social scientists have been trumpeting for some years now, that through experience, genetics, domestication, and other factors, humanity seems to be moving increasingly toward less violence. In fact, he demonstrates how we may be living in the most peaceful moment in our species’ existence. In some ways one might call it a slant on the long process of civilizing human behavior. We may, for instance, think of “manners and morals” books (especially for young girls), such as Amy Vanderbilt’s Complete Book of Etiquette, and Miss Manners’ Guide to Excruciatingly Correct Behavior as “sources for handy tips on avoiding social peccadillos.” But a cornerstone book on manners for boys was written by Erasmus Desiderius himself, one of the founders of modern thinking. By reading just a few of the rules, one really does gain an appreciation for our modern public school system. Let’s just say it’s a complicated subject to take on. One begins to see just how many factors are involved in the interpretation of violence trending down–and why. It’s a heady book, written in a time that may seem on the surface to fly in the face of what we see in the media on a daily basis with ceaseless news about war, crime, and terrorism. Taking a broad perspective approach, such writers and thinkers like James R. Flynn, Pinker mixes psychology, 20th century pop-culture, and sweeping historic overview to provide a remarkable picture of an increasingly enlightened world. He looks at homicide rates in European countries over several centuries–all in decline. Perhaps by contrast to other social biologists, Pinker does not over-emphasize the “nature” side, or our genetic predisposition. He doesn’t ignore it, by any means, and in fact dedicates a chapter specifically to it. He attempts rather a synthesis of also taking into consideration the practical reasons for why humans are less inclined to commit violence, as well as a hopeful one that there is also a kind of general trend in human awareness and understanding that continues to take place. Hope for the “better angels” embedded in our nature.